Freshworks has announced its rapid expansion across Europe and its first convention on the continent. In the last two years it claims to have increased the number of marketing, sales and services employees by a factor of twenty in the region. That growth is not just confined to existing offices in London and Berlin. It has also opened offices in Paris, France and Utrecht, Netherlands. Those staff have helped the company reach triple digit growth in the last two years. It has also strengthened its leadership team in the region with the hires of Raymond Huner as head of Benelux and Nordics and Christopher Wiltberger as Head of Southern Europe. Angélica Reyes also joined as Head of Marketing for Europe. Reyes was previously at Qlik and spent some time at Microsoft. Freshworks provide software to help drive customer engagement. Its first product was freshdesk to support the customer service function in business. It now has support for ITSM with freshservice, CRM in freshsales, for marketing freshmarketer and several communication and collaboration products. 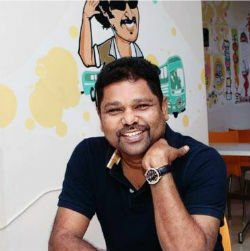 Freshdesk 360 is its recently launched customer engagement platform. The company now has 12,000 paying customers in the region with brands such as Travix, METRO, Klarna, GetYourGuide, Auto1, National Health Service, Citizens Advice, British Heart Foundation, and Music magpie using its software. Girish Mathrubootham, Founder and CEO of Freshworks, commented: “Europe and the UK are going through exciting times. London continues to be a thriving ecosystem for tech companies, fueling the growth of businesses in the region. Freshwork is holding its first European conference in London following its inaugural Refresh18 in New York. 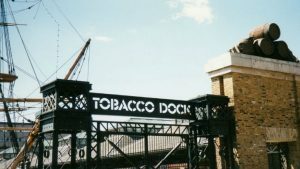 Refresh 19 will be held at Tobacco Dock on April 24 and April 25. It expects to have more than 60 speakers across the two days and more than 500 customers and partners attending. It will also hold a conference in Las Vegas in the Autumn. It has ambitions beyond those locations and hopes to expand its partner network in Southern Europe, Benelux, Nordics, and Eastern Europe. Its recent growth was fuelled by the 2018 funding round let by Accel and Sequoia that raised $100 million. It has now raised more than $250 million and is potentially heading for an IPO at some point. It now has more than 2,000 employees supporting more than 150,000 customer business across four continents. Holding a two day conference in London is rare. It will be interesting to see whether the attendance for both days holds up. Also, how Freshworks divides up the content at the conference. What news will it announce at the conference, will it reveal new hires, offices and/or customer wins. While Freshworks is expanding rapidly it does not seem to be doing so too quickly. It could easily burn through its cash by opening even more offices. The bid to attract more partners is also sensible. If it builds a large enough partner base in a country it will probably open an office. It can then add a direct sales team for larger accounts. The big question will be whether, by the time it has burnt through its funds, it has the profitability it needs to sustain it in the long term. Is your Service Desk valuable? Previous articleIs Dragonblood a wake-up call for WPA3 security?